Should San Jose Sweep LA? Per The Puck Report, about 18% of the NHL’s near 600 playoff best-of-seven series have ended in sweeps. 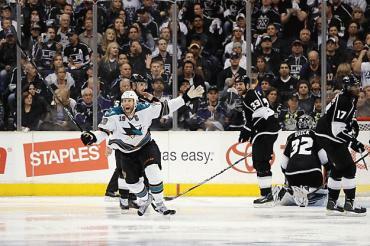 On Tuesday, the San Jose Sharks moved to a 3-0 series lead over their rival Los Angeles Kings. Sweeps are great because, no matter which way you slice them, they are series victories. But do they somehow affect how the team performs in the next round? It’s no longer a chant of “Beat LA.” Should San Jose sweep LA? The world predicted this to be one of the best series of the opening round this year. These teams hate each other. Well, the hits have been there. The chippy play and bitter arguments at the creases has been there. But the scoreboards have been lopsided. Tuesday night produced a very different team from Los Angeles. The LA Kings came out hard and kept up strong defensive play all night. Jonathan Quick was strong and his rebound control was much better, and for regulation, he kept his Kings in the game. He faced 39 shots, an onslaught from San Jose, and turned away 36. A vital kill of a stupid penalty in the final two minutes forced overtime. The Kings blazed out of the gates in OT. They swarmed and pressured and nearly ended the game. San Jose couldn’t even get the puck past center ice. This was the Kings of 2012. This was the team that exploded from the 8 seed and took the league by storm. But, on the first possession in their offensive zone, San Jose silenced a raucous crowd at Staples Center. This was the best product the Kings could produce. They gave everything they had. And it wasn’t enough. 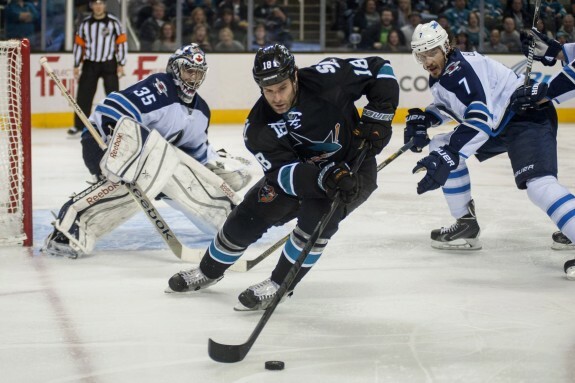 Tuesday’s victory confirmed what games one and two suggested: the Sharks will win this series. But the question is, how long will it take? Six games? Five? Four? Should San Jose sweep LA? Flashback to last season. Before the epic seven game clash that saw both teams battered and bruised but the Sharks going home. That magical week where San Jose easily disposed of the Vancouver Canucks. The formula wasn’t quite the same, but the dominance was ever present. 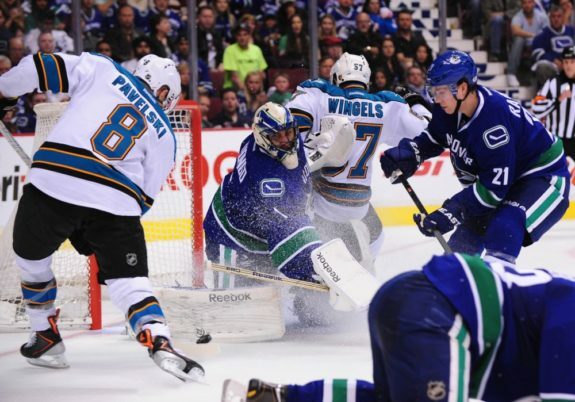 The Sharks beat both Canucks goaltenders twice. Two OT victories made the series seem much closer than it really was. That series is the only other time in franchise history the Sharks have been on the winning end of a sweep. Should San Jose sweep LA on Thursday night, the first question that will undoubtedly be asked is the timeless rest versus rust debate. Every year it happens, and there is no way we can avoid it. Every year, we have to hear it and figure out that there is no definitive answer. In the last 26 postseasons, since the 1987 season in which all postseason series became seven game series, teams that swept were 26-25 in the next round. That’s right, out of 51 series played after a team sweeps, just over half of them continue on. This does not include the six sweeps in the Stanley Cup Finals, of course. So, really, there is no correlation between how a team does after a sweep. They are just as likely to fall in the next round as they are to win it. So, the question remains: should San Jose sweep LA? The answer? Of course they should. No matter what the statistics say, ending a series against your bitter rivals on the right end is a boost. In particular, this series is a brutal one. San Jose and Los Angeles have combined for over 300 hits in only three games. By far, the most of any series in the postseason’s first round. Last season, when Los Angeles prevailed and moved on, their war with San Jose slowed them down so much they never found their footing against the Chicago Blackhawks. San Jose should clinch on Thursday night. They need their bruises to heal and they need to get healthy. When healthy, the Sharks are one of the most dangerous teams in the league. And, dare I say it, are entirely capable of winning it all this year.